Shopping for a new home in Aurora, Colorado? Don’t miss out on the Southshore community. Southshore is aptly named for it’s location just south of Aurora Reservoir. The nautical theme of this community makes it unique and full of character. Building at Southshore has been going on for quite some time now. But you still have plenty of opportunity to buy a new built home at Southshore. And you have several builders to choose from including Century Communities. 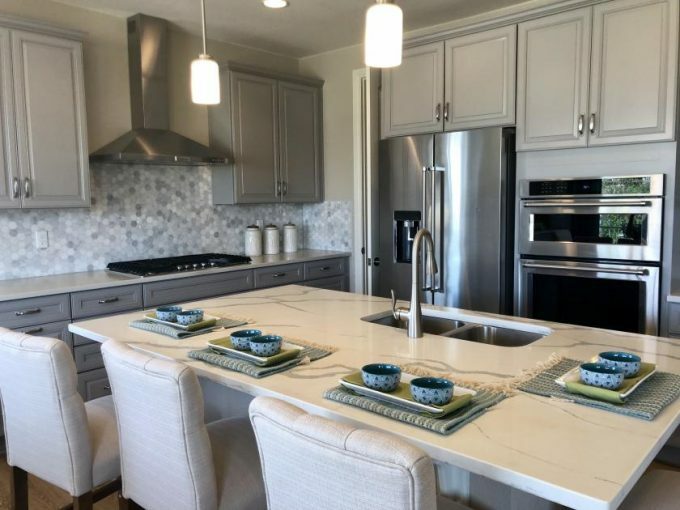 The new homes by Century Communities at Southshore may be your most affordable option at the moment to build a detached single family home in that community. Base prices range from the low to mid 400’s. These homes don’t have as many features included in the base price as many of the home collections I see. However, this is why the base prices are lower. So many new home collections included so many features in the base price that the homes are out of reach to many homebuyers. By keeping the included features at a minimum, this home collection is affordable to more buyers. That doesn’t mean that you don’t have plenty of options to build the home of your dreams! It just means you don’t have to pay for features that you may not want! Century Communities is offering homebuyers the choice of six floor plans at Southshore in Aurora. There are two models onsite to tour. Be sure to watch the videos below for full walking tours of the model homes! Southshore is part of the highly rated Cherry Creek School District. To see these homes in person or for help in finding your new home in Aurora, Colorado contact Courtney Murphy today!